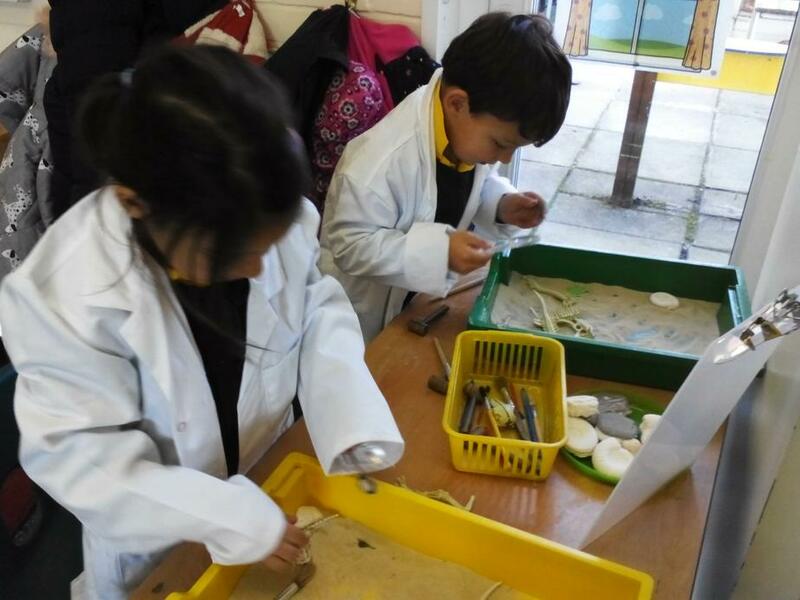 Giant class have had an exciting week introducing our new topic, Dinosaurs! 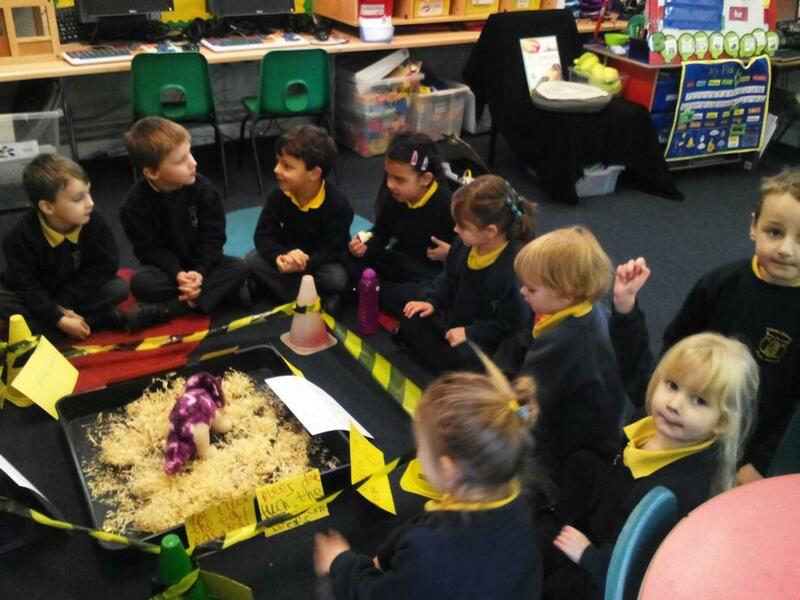 The children arrived to school Monday finding a large egg in the classroom! It had been found outside and brought in for us to keep warm and look after. We were watching it very carefully, spotting lots of cracks and little holes- we were sure our egg would hatch soon! We were thinking carefully about what could be inside. We decided that being such a big egg, much bigger than a chickens egg, there must be a big animal like a dinosaur growing inside!! 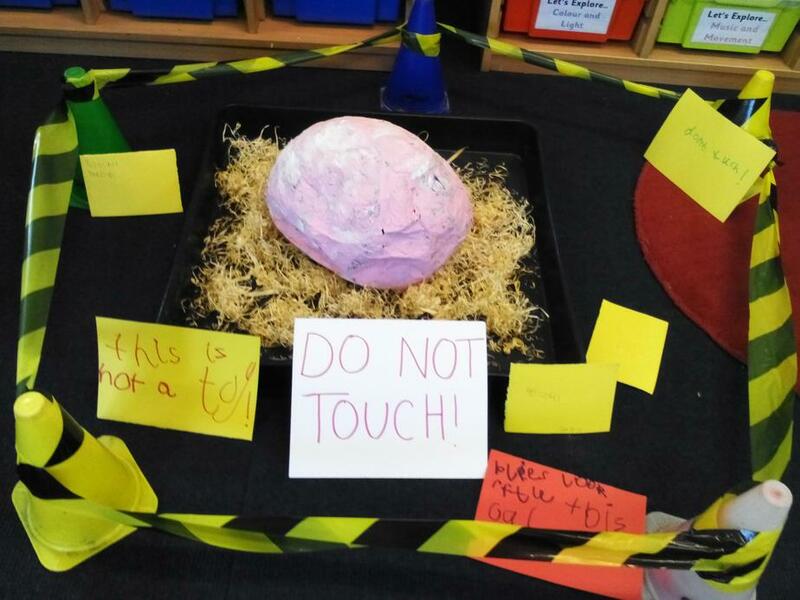 We wanted to keep our egg safe and to make sure people knew not to touch it. So we made lots of signs and notices to let everyone know to be careful and not to touch! Overnight when we were all sleeping, our egg hatched and we had a baby Triceratops in the classroom! We spent the day thinking about how best to look after our new addition. We thought about a name for our dinosaur and looked up some facts and found out what it might need to eat. 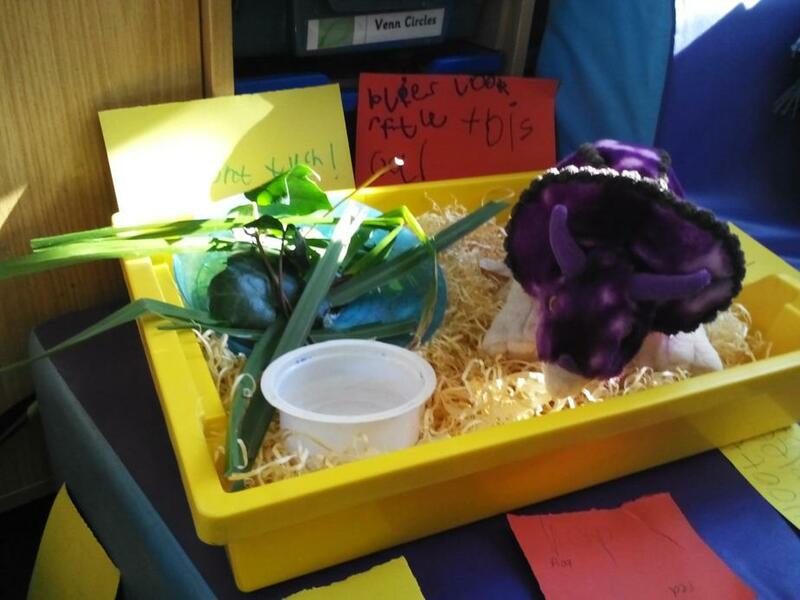 We discovered our Triceratops is a herbivore, so we collected some different tasty leaves and grass for it to eat. We also made it a comfier bed to sleep in. We have been taking good care of our baby dinosaur! 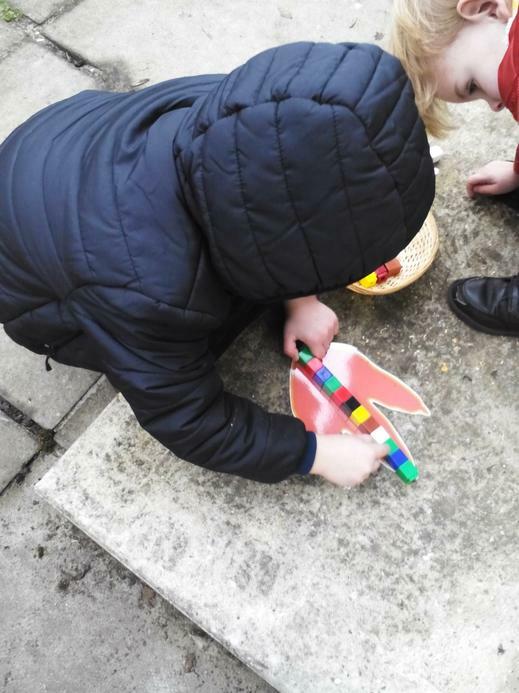 We have also been taking part in lots of dinosaur maths learning as part of our school maths week! 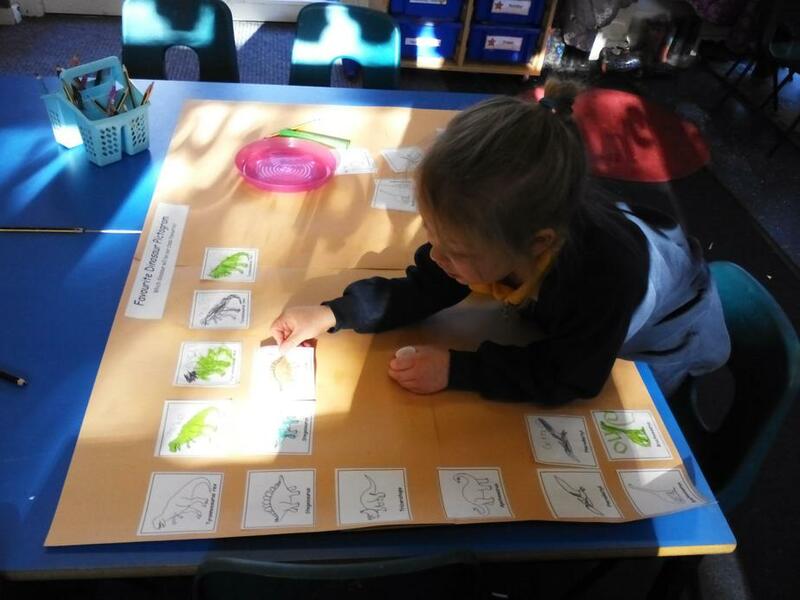 We created a class pictogram of our favourite dinosaurs, using the pictures to show on a chart which dinosaur was most popular…the Tyrannosaurus Rex was the winner closely followed by the Stegosaurus! 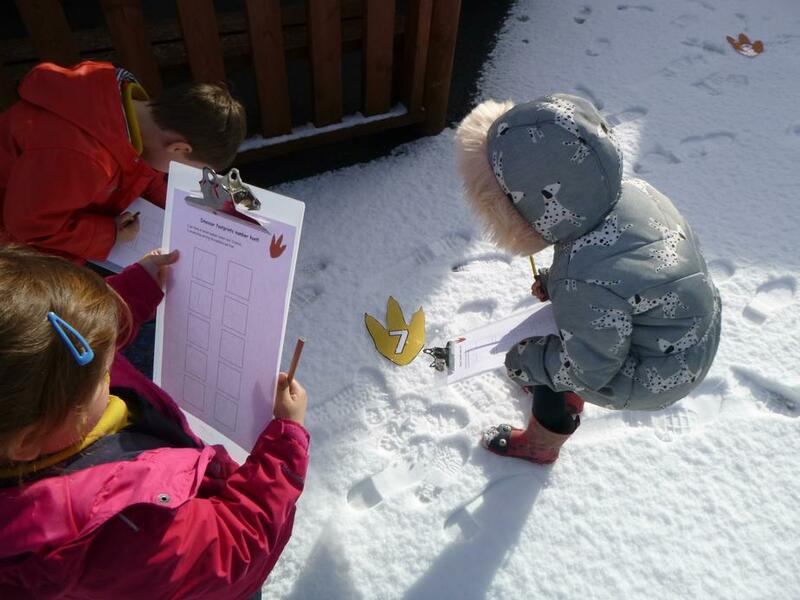 We also measured different dinosaur footprints we found to identify which dinosaurs had been wandering about in our outdoor area! 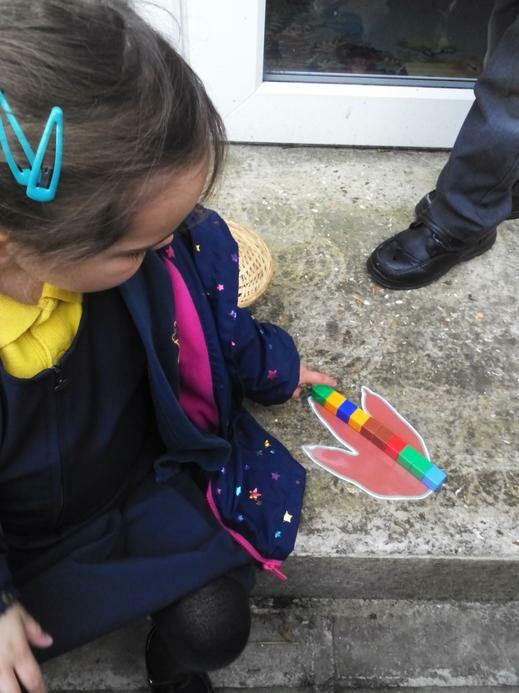 We used cubes to help us measure how long each footprint was and matching it to the fact sheet helping us identify the culprits! 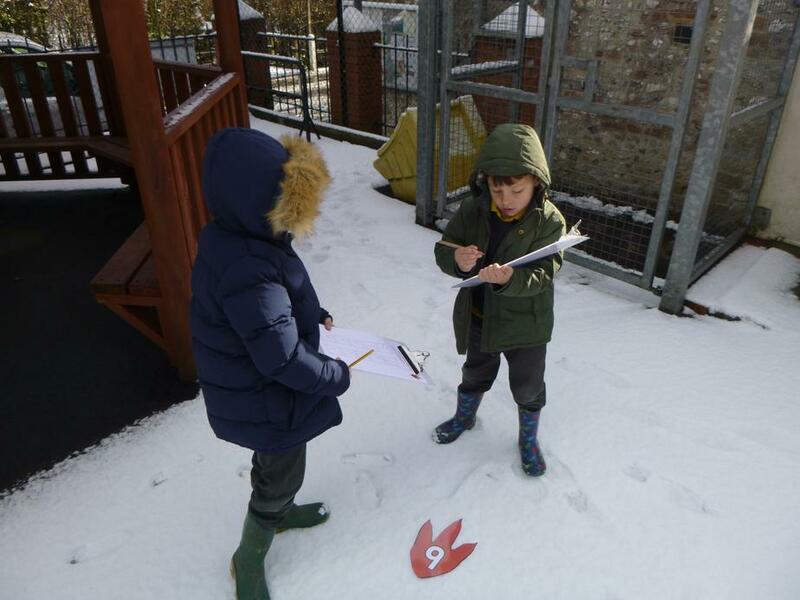 We have also been out around the school on dinosaur scavenger hunts, following numbered footprints and counting up the dinosaurs on the clues! 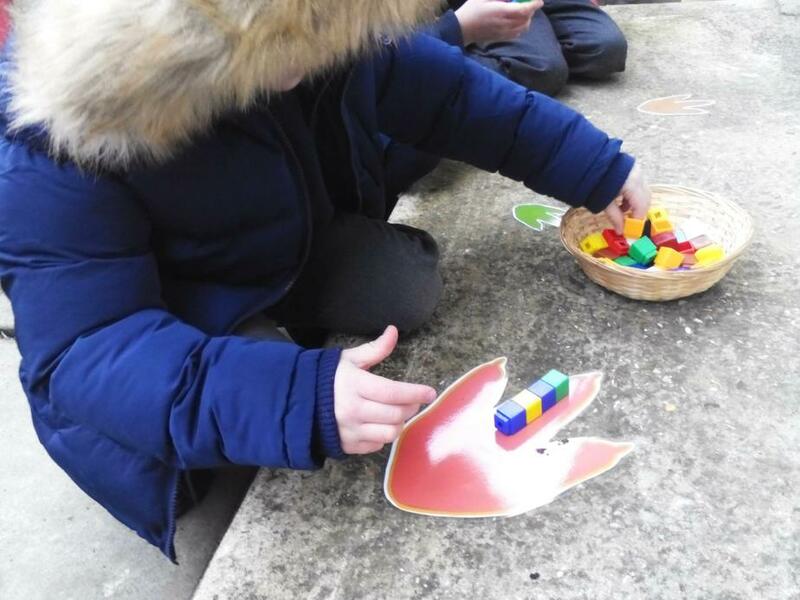 Giant class have been exploring their number skills using BBCs Numberblocks characters- learning more about the part, part, whole structure of number. They have been combining and partitioning numbers with the charismatic characters following their stories. 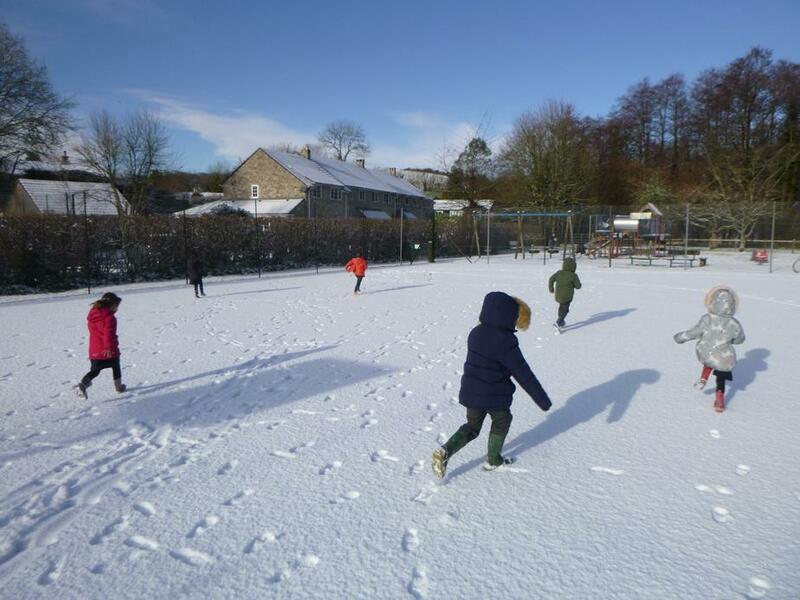 Our week has been made all the more exciting with the snow!! 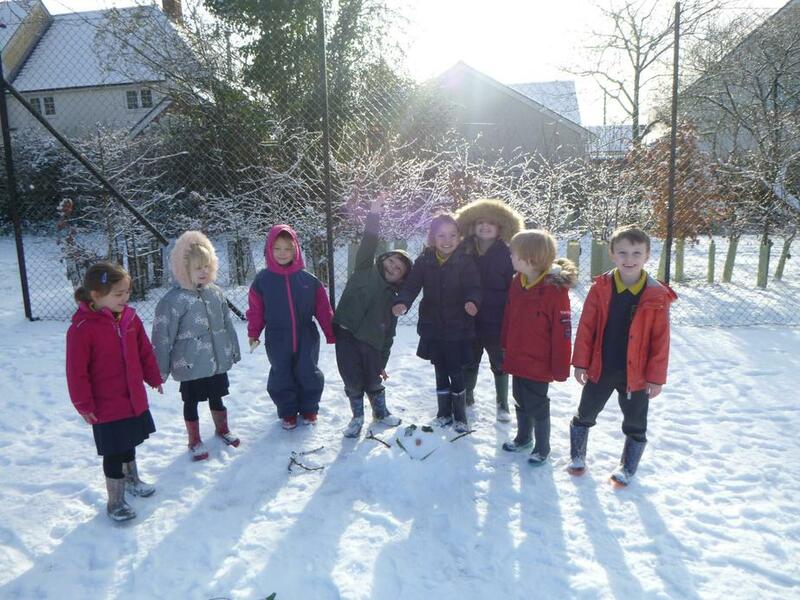 Giant class had lots of fun exploring the snow in the playground, making lots of welly book prints and creating out own snowman- complete with carrot nose! I’m sure everyone is going to be very excited waking up to the snow in the morning! I hope you all enjoy your snow day, see you Monday!